But how is allowing abortion standing up for women’s rights? How is taking the lives of countless female babies supporting women? Does anyone have the right to take the life of an innocent human being? What does that do to a woman’s soul? How does it help her when society denies her the truth by protecting her from information that would help her make an informed decision? How is she being cared for when she isn’t told of the life-altering consequences that will most likely follow her for the rest of her life? Once a month some friends and I stand on the sidewalk in front of the largest abortion clinic in Oregon. We go in love and compassion, not anger and judgment. We’re there to pray, hold signs and offer help and resources to women and men entering the clinic. Often I stand up near the back parking lot, to pray and hold a sign (Sorrow and Regret? Jesus is the Answer) for those women who are being wheeled out to their waiting ride home from the clinic. Many look somber and sad, some with their heads in their hands, looking as though they did indeed just go through a surgery. I’ve thought to myself, “They imagine now that it’s all over; but it’s really only just beginning.” A baby’s death does not take away the fact that the woman is a mother. She may be un-pregnant now but she is not an un-mother. No matter how her pregnancy ends, she will always be a mother, either of a child who is alive or a child that has died. Someday many of these women will realize what they have done, and I pray they will come to know of the incredible love and forgiveness of Christ. Wow. Selfishness abounds. “If you don’t want to take care of it, get rid of it.” They had no knowledge of how many childless couples would give anything to adopt a baby. And they assumed that none of us had adopted children or supported family members who had. Unfortunately there was no opportunity to engage them in further conversation. Recently three of our ladies were there when a young girl walked into the clinic, resisting the information offered, and insisting she was going to have an abortion. Fervent prayers were offered that there would be no peace for the women in the clinic waiting for their abortions. Soon after, this same young girl came out and down the stairs, weeping and broken. The women comforted her as she confessed that she could not go through with the abortion, and they gave her courage to give life to her baby. This month she was blessed with a healthy baby girl and later texted the following: “I can't wait for you guys to meet her. You ladies helped save her life because of your faith in God. Only if I could have as much faith as you all did...I hope to!" The women have visited her in her home, provided transportation, and given her many things she needed for the baby. Someone told us there must be better, more effective alternatives to standing outside a clinic with a sign and praying. I agree there are, but when it comes down to the last minute, the last chance of hope before a baby’s life is snuffed out and a woman is deceived into thinking she’s making the best choice, I’m glad there are people who are there praying and offering help. Everyone can do something. If you can’t be down at a clinic, you can pray for those who are. And you can pray for and support (through financial gifts and volunteer work) the many different and effective prolife ministries who are serving Jesus in the battle for preborn babies and their moms. Check out the different prolife organizations listed on our website for possibilities of involvement. 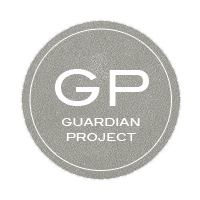 And if you’re in the Portland, Oregon area, learn about the exciting Guardian Project, as well as Run4TheirLives, which is scheduled for September 7, 2013. Once a month, for the past year or so, some friends and I have stood outside Lovejoy Surgicenter praying, holding signs, and seeking to offer alternatives to men and women who choose to abort their babies.